For a backyard fiesta that really sizzles, break out the grill and cue the taco assembly line. Shelley Wiseman likes to kick things up when she throws a bash for family and friends. "There's nothing easier or more festive than a taco party," she says. "Plus kids have so much fun making the tortillas from scratch." At her home in Bridgehampton, New York, Shelley, author of Just Tacos (Taunton Press), sets the scene with two tables—one on the lawn, where guests help themselves buffet-style, and the other on the porch, for dining. "It's the opposite of formal," says Shelley. "Whip up an iced pitcher of jalapeno margaritas and you're good to go." Potted succulents and flickering candles on a vivid runner make a casual, eye-catching centerpiece. Shelley hangs Mexican banners, called papel picado, by a string from the ceiling. "The bright cut-paper flags also make great placemats," she says. 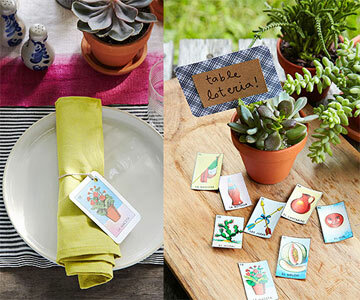 Loteria cards—from a popular Mexican bingo-like game—add a playful twist to finding a seat at the table. Guests pick a card and match the image to the place setting. 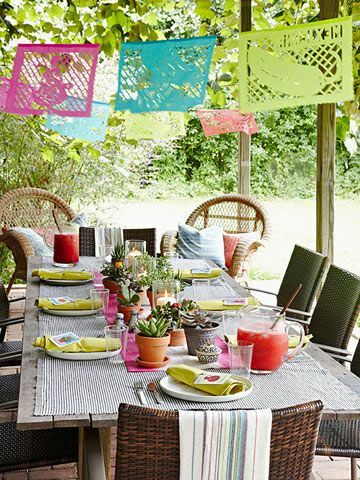 Assorted bowls, vintage cutting boards and homespun linens complement the rustic south-of-the-border theme. A build-your-own-taco spread takes the stress out of entertaining, says Shelley. And it's easy to amp up the decor with a few bright touches. A refreshing nonalcoholic drink of blended strawberries, ice and mint takes the heat off a summer day. 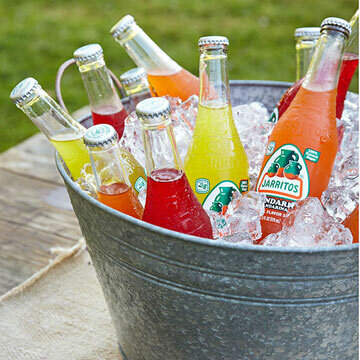 Bottled coolers stay frosty stowed in a big metal tub full of ice. Shelley prepares marinated grilled shrimp and meats along with chile-spiked salsas for the tacos. Comfortable wicker chairs topped with throw pillows create a cozy hangout spot in a corner.